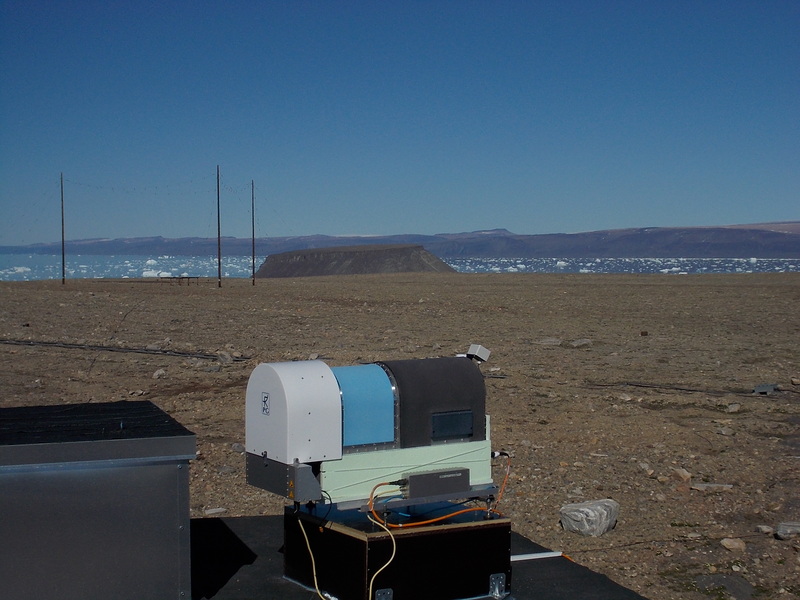 In the framework of the SVAAP project, a microwave profiler, a HATPRO G2 purchased from the Radiometer Physics GmbH (RPG), was installed at Thule in July 2016. The radiometer measures the brightness temperature in the K and V bands sampling the water vapor absorption lines and the oxygen complex. A statistical inversion methodology, similar to that described in Löhnert and Crewell , is used to continuously derive the amount of the integrated water vapor, the liquid water path as well as the tropospheric temperature and specific humidity profiles. 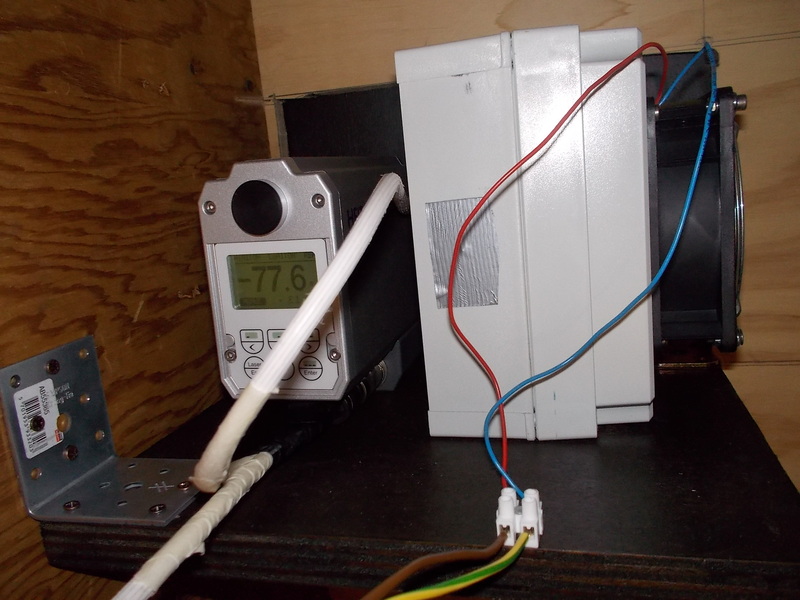 A detailed description of the HATPRO design is given by Rose et al. .
A zenith looking infrared pyrometer, an Heitronics KT 19.85 II, operating in the 9.6-11.5 µm band, was installed in proximity of the HATPRO to provide information concerning the presence and the altitude of clouds. How does the presence of liquid water in tropospheric polar clouds affect the energy budget in the atmosphere and at the surface? Which is the role played by the winter Artic surface temperature inversion in the infrared radiative balance? Which are the interactions between bearing liquid clouds and the surface temperature inversion? 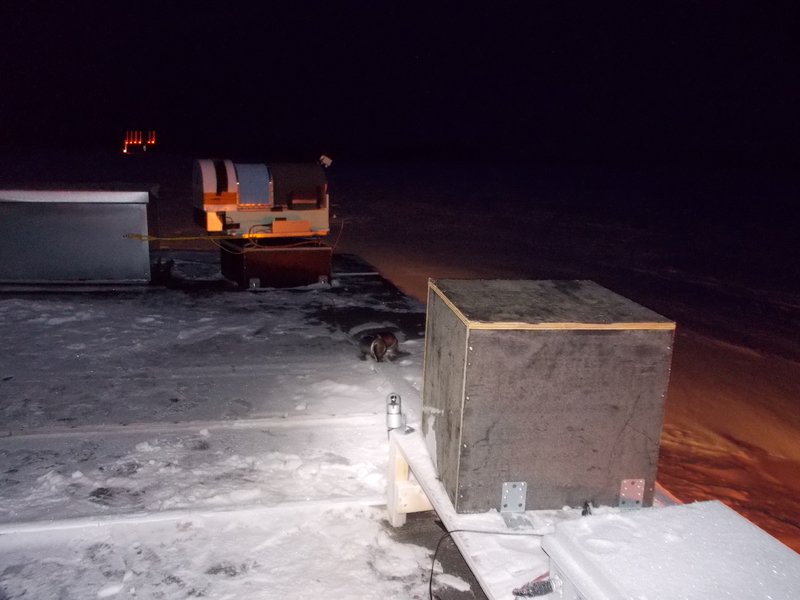 A summer- and winter-time view of the HATPRO installed on the roof of the Building 1971 at Thule Air Base. 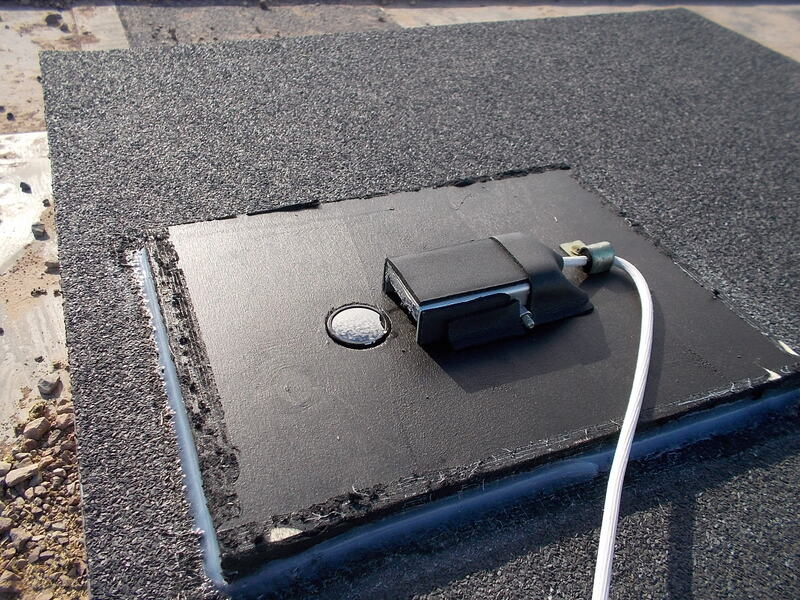 The pyrometer is installed on a hatch of the roof of Building 1971; an air fan helps to prevent the formation/deposition of ice and snow on the external window.